To the uninitiated, the word muck diving might make you think of diving in muddy, zero visibility water which might leave you wondering about all the fuss. This is most definitely not the case. Muck diving usually takes place on what at first glance might appear to be a desolate, sandy bottom. Still sound uninspiring? Give it a chance. Muck dives involve slowly and patiently exploring the sand for the creatures and critters that make their home there. It’s a surprising and delighting type of dive that will reward you with the pleasure of finding the unusual, weird and wonderful marine life that grace the front covers of dive magazines. The gratification of the discovery cannot be underestimated and this is what brings divers and underwater macro photographers back time and time again. For the more experienced divers with good buoyancy and an interest in macro diving we could not recommend it more since it has a lot of amazing and rare stuff to see. We offer our divers to travel to two Muck dive sites that are located on the west side of Lombok, they are called Teluk Nara (also know as Magic Pier) and Mentigi Bay (also know as Seahorse Bay). Those two different dive sites are proper macro/muck diving sites and only located 20-25 minutes away by boat. Mentigi Bay is a sandy and sloping dive site on the West side of Lombok. Often sheltered from the infamous Gili currents this dive site is perfect to keep your eyes peeled on the floor to spot the unusual critters. 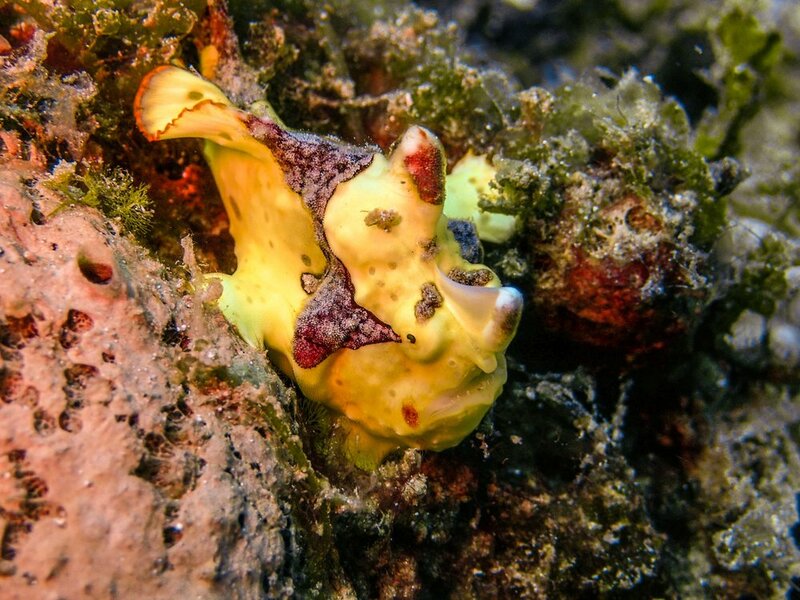 Divers looking to explore Gili's best dive sites will want to put Mentigi on the list! Descend along the bottom to patiently hunt for some wonderful marine life. Spot countless species of juveniles as this reef serves as a nursery for many reef fish. As you slowly explore the site, Seahorses, Frogfish, Ribbon Eels and different species of Pipefish are just some of this dive site's featured residents. 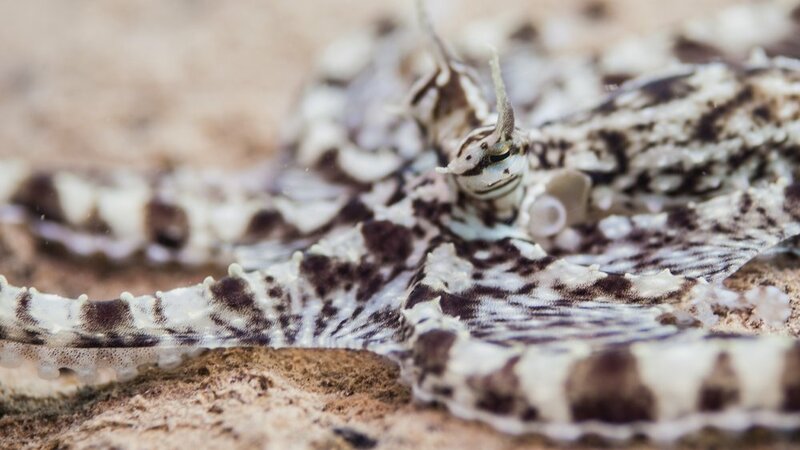 If you're really lucky you might come across the rare Mimic Octopus or a Flamboyant Cuttlefish?! Teluk Nara is a small boat harbor in West Lombok. Low visibility and a silty bottom underneath the pier make this spot a perfect hiding place for some weird and wonderful sea creatures. This is a challenging dive site due to a soft silty sea floor, but it is an amazing dive for a confident, creature - loving advanced diver. Experienced divers can look out over the silty bottom for rare Mimic Octopus, Coconut Octopus and even the elusive Blue Ringed Octopus. The two chains extending from underneath the pier are covered in colorful Sponges and Sea Fans have become home for Painted Frogfish, rare Nudibranchs and Scrawled Filefish. End the dive just underneath the pier to find an array of juvenile fishes including the stunning, Ringed and Emperor Angelfish and Pinnate Batfish.